Ready or not, here it is. 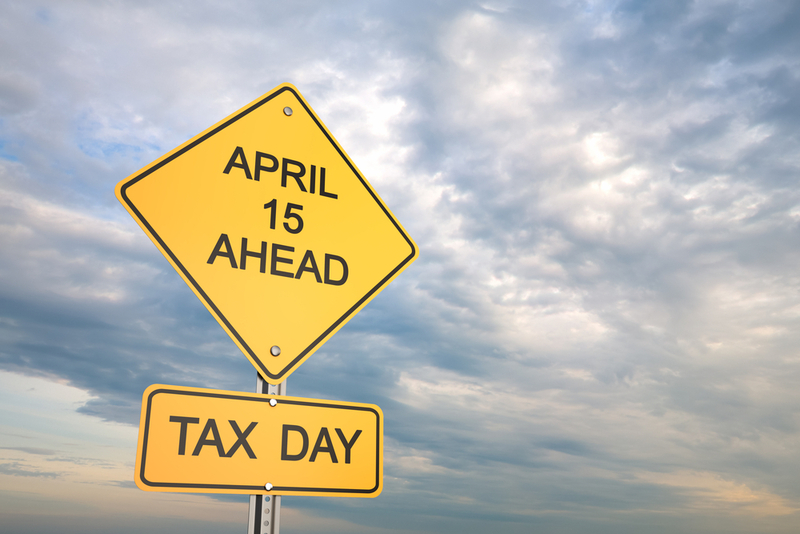 Tax Day is upon us – the giant alarm clock that is annually wound and set for the entire nation is poised to go off; its striking terror in those who have yet to visit their tax preparer, or boot up the online tax preparation du jour. Whether you’re the giant-trash-bag-full-of-receipts kind of filer, or the labeled-files-for-everything variety, filing your taxes can be exhausting. "Money is a major source of stress on people, and what tax season does is shine a great big spotlight on the issue," says Michael McKee, a Cleveland Clinic psychologist and president of the U.S. branch of the International Stress Management Association for the WebMD website. "Money takes center stage at tax time, even if you might have been able to push it to the wings the rest of the year." Considering that about 75% of Americans find money to be a major cause of stress, the anxiety felt during the process of filing is real, and it’s widespread. In fact, April 15th is thought to be the most stressful day of the year, second only to days when massive tornados or other natural disasters strike. Considering that with stress comes the “taxing” side effects of loss of sleep, raised blood pressure, increased irritability, an increase of poor health habits (stress-induced doughnuts and a cigarette, anyone?) and an impaired immune system; nationally, we’re a walking wreck on 4/15. In fact, the tension even rampantly rides close to home, as you’re more likely to get in a car accident on this day. Whether it’s a tension headache from crunching numbers, irritable knots in your shoulders from the stress of filling out the forms or a feeling of just simply being run down from the entire tax-filing process, it’s likely that tax season has taken a toll on your body. Whether you completed yours weeks ago or are just now scrambling together the last of your documents and receipts, the effect on your muscles and circulatory system is the same – a windfall of stress equals bankruptcy in wellness. Need to feel better, NOW? Before you reach for the medications, the alcohol, or the stress-eating sustenance (yes, drop the doughnut), consider a call to your Elements Massage™ studio. Luckily for you, our filing fiend friend, we’ve got you covered with what you need to recover, recoup and start feeling your best again. Although the “why massage is great” list is unbelievably long, here are a few reasons why a visit with your massage therapist is exactly what you need, right now.